Books, Bargains, Blessings: Can you take the "No Phone Challenge"
Can you take the "No Phone Challenge"
Guess what? Comedian Mark Malkoff is doing a "U.S. Cellular No Phone Challenge". He is known for challenges such as living for a week in a furniture store, and now he's planing on going a week without a cell phone from February 5 to 11. Be sure and follow him on the U.S. Cellular site, Twitter, Facebook, and YouTube as he shows how it is not so easy in today's world to be connected to those around you without the use of a cell phone. So many of us take the use of our cell phone for granted. I have U.S. Cellular and I love the fact there is rarely a dropped call. In fact, U.S. Cellular's high speed network has the highest call quality of any national network and the customer service I receive is top notch! I love my network! Having reliable cell phone service is important because if you don't have good service, you might as well not have a cell phone. I have friends on other networks who sometimes don't know when someone is calling them. Why have a cell phone if your service is spotty? One of the many reasons I love U.S. Cellular is even when I am traveling. To me this is very important because I need to know that I am reachable wherever I am as well as knowing I can use Google Maps to navigate my way home! And how important are cell phones to people? Well, U.S. Cellular did a survey and one in five smartphone owners would rather live without food or water than a smartphone. (To me that's crazy, of course, if I was stranded on a desert island, I'd just use my smartphone to call for supplies and the problem would be solved!) Also in the survey 76% of smartphone owners would rather live without chocolate than their smartphone and 69% would rather live without caffeine. Phones really help enhance life and provide better moments for family and friends. Someone I know went on a road trip and shared photos every hour or so on Instagram and I felt like I was with her! Phones can help set up playdates for children -- or a girl's night out for us adults! Why don't you take the "No Phone Challenge" even if it's for a day. 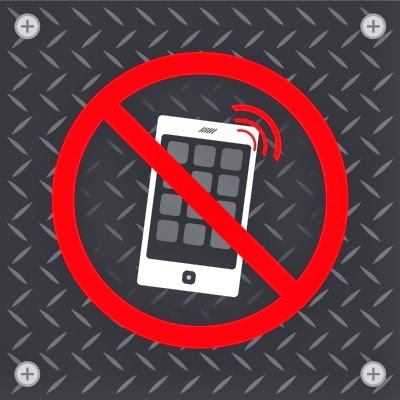 You can tweet your experiences about it and how your cell phone affects your personal relationships and lives by using the hashtag on twitter #NoPhone. Personally, I am unable to do so. My mother is in the hospital, and I need to be able to be reached anytime because of her medical issues. A phone is a life saver to both of us because she has been hospitalized quite a lot over the last year. The U.S. Cellular plan we have gives us free anytime mobile to mobile minutes which means we can check in with each other as often as we want and not have to worry about overage. I often take notes in my cell phone of her appointments with doctors. Even if she was not in poor health, 100% of my income is generated online and I need to be able to answer e-mails anywhere I may be, so taking the No Phone Challenge would be difficult for me. Another thing I would have to do is go back to using an old-school alarm clock. I am finishing a round of antibiotics that need to be taken every six hours. It's easy to set the alarm on my phone to remind me to take my medicine. My cell phone has become a part of me and right now it's so essential to me because of medical reasons that I can't take the No Phone Challenge, but will you?